﻿Today, the Tampa Bay Buccaneers continue their shopping spree after extending William Gholston a couple days ago by signing two former Washington Redskin players in Chris Baker and DeSean Jackson, plus by also re-signing Jacquizz Rodgers and Chris Conte. First off, signing D-Jax was a steal and especially for three-years worth $35MM ($20MM fully guaranteed), according to Adam Schefter of ESPN.com. He will instantly improve the Buccaneers’ offense with his big playmaking ability that the Bucs lacked offensively. Also, he can run after the catch, as he led the league last year with 17.9 yards per catch, which that was third time in his career that he led the NFL in that category. Jackson had a strong 2016 campaign by catching 56 footballs for 1,005 yards and he scored four times. Next, the Buccaneers finally got Gerald McCoy a real partner in the interior of the defensive line. 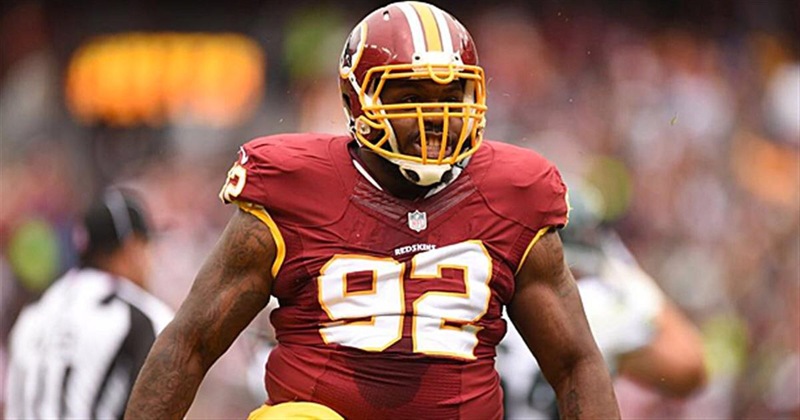 Chris Baker will force double teams, plus he is actually a good pass rusher for a nose tackle. He has improved his game year-by-year and it paid off, as he is set to receive a big deal, according to Peter Schrager of FOX Sports. He will make $15.75 mil over three seasons. The 29-year-old defender has picked up 10.5 sacks in the past two seasons and I would expect him to at least get five a season in Tampa with the solid talent around him. Furthermore, Chris Conte is returning on a two-year deal worth $5MM ($2.5MM guaranteed), according to Adam Schefter of ESPN. Conte has come a long way and has played well as of late. He finished the 2016 season with 54 tackles and two interceptions. Conte’s safety partner is looking like Keith Tandy right now with Bradley McDougald out in the open market. Overall, Conte is a good player to have for depth reasons too. Finally, Jacquizz Rodgers is coming back to the team on a two-year deal worth $3.3MM, according to Adam Schefter of ESPN.com. Rodgers was a savior last year when Doug Martin went down with an injury and suspension. Rodgers will compete for the starting job after leading the team in rushing. He led the Bucs in rushing with 560 yards for two scores. Note: The Buccaneers are not done making moves. Expect them to look at signing a safety and linebacker.